This picture was taken in the newest ballroom at The Fox Hollow Inn at Woodbury, NY. Located just 15 minutes from my East Northport, New York wedding photography studio and gallery, The Fox Hollow Inn has been the wedding venue choice for more events than I could ever remember. 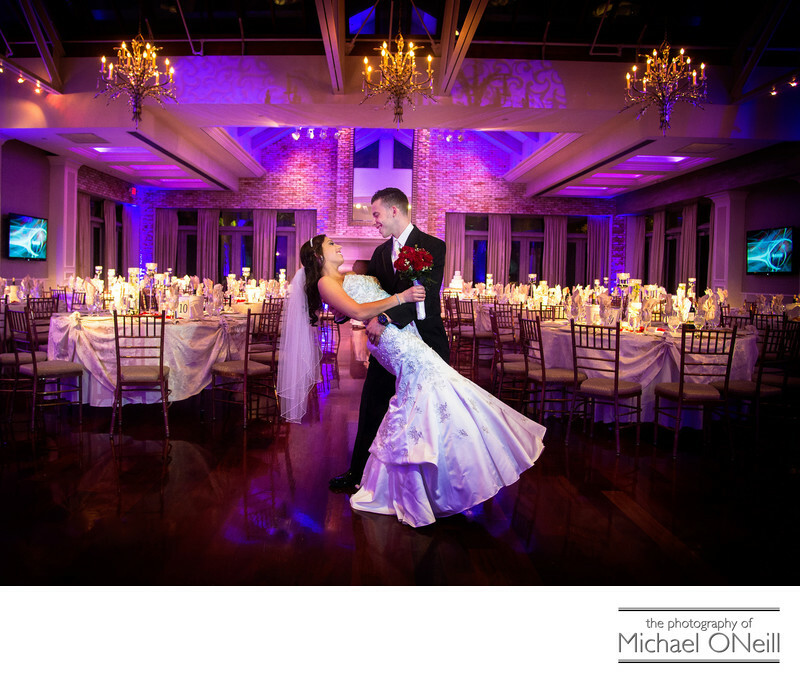 The owners of this famous Long Island wedding reception venue also own Westbury Manor, Chateau Briand in Carle Place and The Watermill Inn in Smithtown. This shot was taken just prior to the start of this couple’s fabulous wedding reception. The room had been expertly set by the staff of The Fox Hollow Inn in conjunction with the florist who prepared the beautiful floral centerpieces for the guest tables. In just a few short moments the bride and groom would make their grand entrance into the ballroom and have their first dance together as husband and wife. Before that exciting moment they were brought into the ballroom to see the beautiful set up and to take this awesome picture. If you are planning a wedding celebration at The Fox Hollow Inn, Westbury Manor, Chateau Briand or The Watermill Inn give me a call. I have extensive experience working at all of these amazing establishments and would love the opportunity to work with you on your special day.